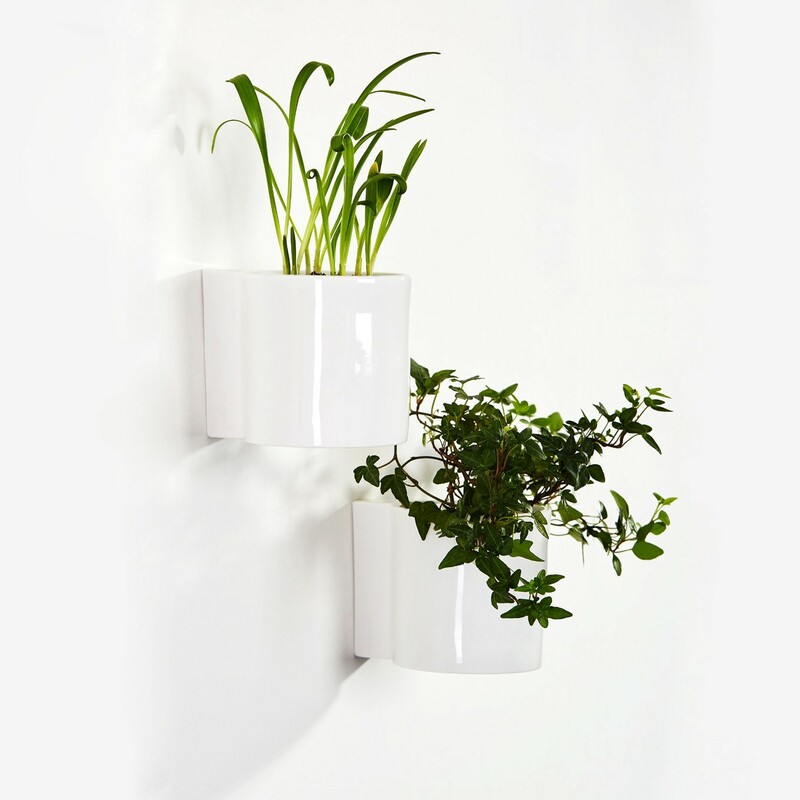 The Hover Pot is a cylindrical ceramic planter that appears to hover away from the wall, while also allowing room for the plants to grow. 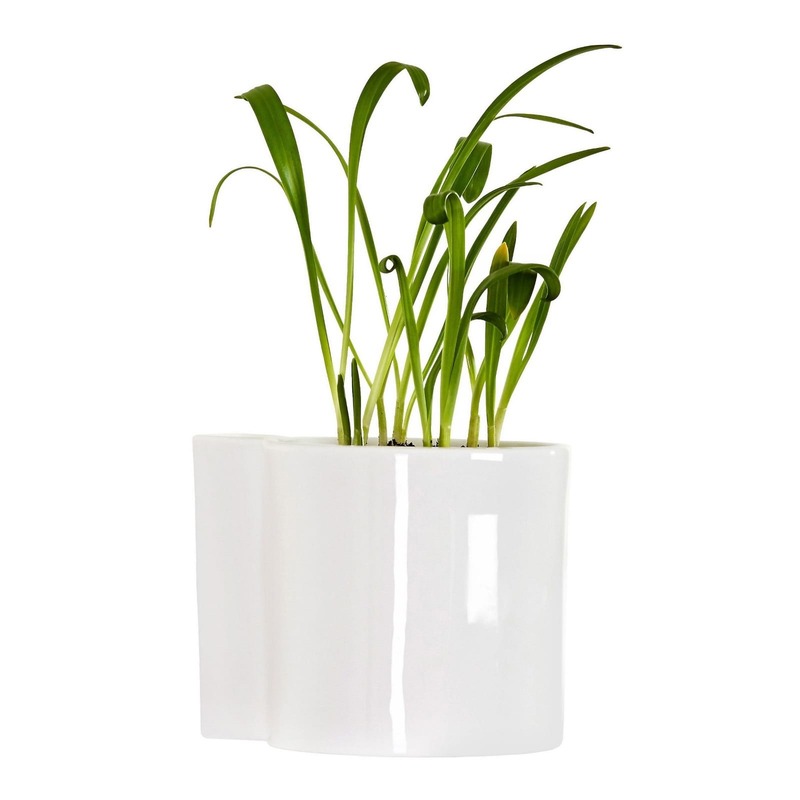 You can use two, three or more to create beautiful arrangements and easily add more greenery to your home or office, without effort or cost. 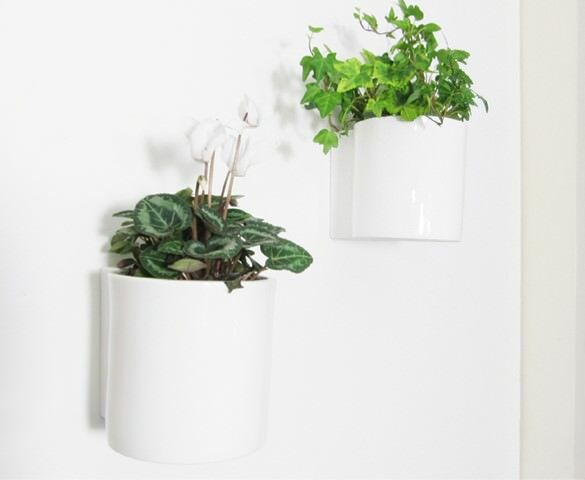 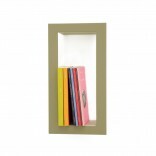 In the kitchen, the living room, the hallway or the bathroom, they are easily mounted on the wall, saving space and adding elegance.